With Hoopla, library patrons have digital access to over 250,000 items including movies, music, comic books, audio books and ebooks. There is no waiting. All titles are available for immediate download or streaming. -Visit Hoopla or download the Hoopla App to your mobile device. -For a list of Hoopla supported devices, visit the Help Page and click the Supported Devices tab. -Click on the Login button and then select Sign Up Now.Enter your e-mail address, create a password, and click Continue. -Select Mt. Sterling Public Library in Ohio as your library. -Enter your library card number and pin # (last four digits of your phone number). -5 items a month.Movie and TV content is available for 72 hours. -Music albums are available for 7 days. -EBooks, comics and audiobooks are available for 21 days. 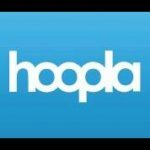 If you need additional assistance with Hoopla Digital visit their Help Page or call the library at 740-869-2430.